As smartphones become an increasingly integral part of our everyday lives, controlling how much time we spend staring at them becomes a proportionally growing concern. For this exact reason, Google introduced the Digital Wellbeing toolset that allows users to monitor their smartphone usage and even restrict it if need be. Saying this now, I realize how creepy it actually is that people need a special app to put a cap on how much they use other apps, but this is the reality that we're faced with these days. 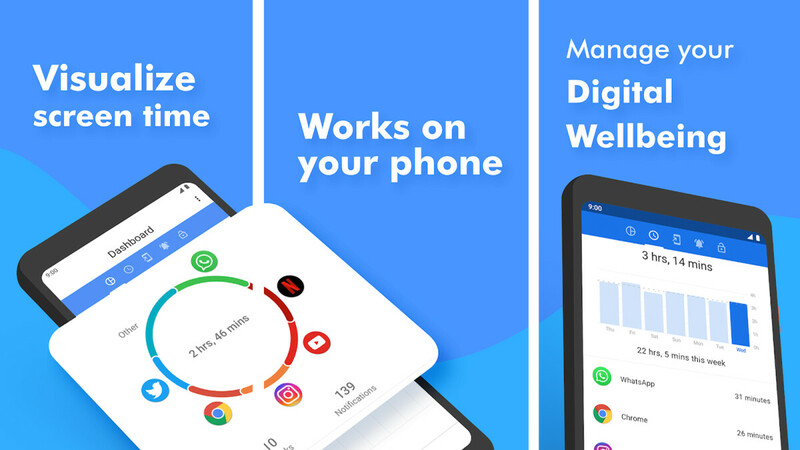 Either way, Digital Wellbeing is arguably one of the coolest features introduced in Android 9 Pie, but equally uncool is the fact that its limited to Pixel phones and Android One, leaving everyone else out of the picture. But if controlling our digital habits is so important these days, there should be a widely available alternative that anyone can just install on their phone or tablet. Thankfully, there is, and it's free. ActionDash is the latest app from the developers behind Action Launcher and it offers a simple, hassle-free way of monitoring your smartphone and app usage in one place. From a unified dashboard, you can get an hourly, daily, and weekly breakdowns of how much time you've spent in which apps. You can also see how many times you've unlocked your device, the average duration of your sessions between unlocks, how many notifications you receive, and other interesting stats. Neat stuff. Privacy is also an integral part of ActionDash, its developers tout. User data is never uploaded or otherwise transmitted from your device, unless you choose to manually backup your data for resyncing purposes. If you want to give ActionDash a spin, you can get it now on the Google Play Store. It is compatible with all Android devices running Lollipop and later (and has a dark theme to boot). The app is a free download, but you can also upgrade to 'Plus' if you want even deeper usage insights. App installs but as soon as it opens it crashes on my Intel atom dual boot Teclas X98 Air pallet.